Location is a fundamental perquisite for a successful nature center. The ideal site is representative of the natural landscape and is preserved for the enjoyment and education of the local community and general public. 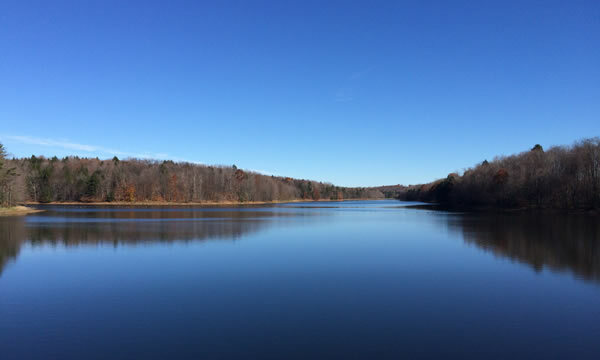 Miles of trails throughout the property and along the shores of the reservoirs will provide access for hiking, fishing, and enjoyment of the outdoor wonders of the Laurel Highlands. Nathan’s Divide will be a regional facility dedicated to providing the highest quality educational programs by teaching watershed education which includes natural science, conservation, geology, history, culture, outdoor education, environmental stewardship, recreation, and community service. We will tell the stories of the basic elements of hydrogen and oxygen that when combined provide us with what we call “water” and how water is important to all living things. The visitor center will be located near the Eastern Continental Divide and will tell the story of the how the headwater streams affect everything downriver. Displays will enable visitors to understand how the rain and groundwater that is located in the adjacent reservoir will provide clean drinking water to the local communities, will be treated to remove contaminations, and is then discharged back into the river for others to use. Visitors will be able to follow how a drop of water that falls on the eastern side of the divide will flow into the Atlantic Ocean via the Chesapeake Bay and the drop that falls on the western side will flow to the Gulf of Mexico at New Orleans. Displays will show how ½ the total drop in elevation from the Eastern Divide to the ocean occurs in our local region and why the divide was a barrier to early settlers and native Americans. Educational programs will highlight our vast abundance of clean water in the local region and how water is used to provide the power to generate electricity that is used for our many varied industrial and agricultural needs. 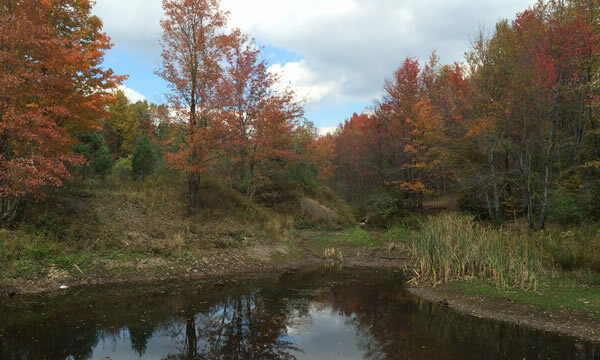 In the past our waters were polluted from the mines and steel mills and we will showcase the successful projects that have improved and/or eliminated our AMD and contaminated Brownfield sites throughout the Laurel Highlands. We will address the current threats from fracking used to release natural gas and how to mitigate current and prevent future damages associated with water pollution. Outdoor education programs will use the network of trails surrounding the reservoir to teach how the protected watershed provides us with pure water. There are six universities and colleges and over 50 school districts that will have access to the facility for field trips, research and internships. Visitors will be able to enjoy the abundance of wildflowers and wildlife that live in the watershed, and a hiking-biking trail will be developed along the Eastern Continental Divide that is located near the site.